- Part III - Fast Attack & Heavy Support (link). So that just leaves us with rule problems and my final thoughts on the codex for Part IV. With every new codex come new questions, combos and rules that don’t make perfect sense. Below I’ll finish up this write-up with some of my lingering questions on rules that aren’t completely clear to me. From the time I’ve spent online with other Astro members and fellow bloggers I’ve (luckily) seen that most of these issues aren’t unique to me, so it looks like I’m not entirely crazy just yet! We’re mostly talking small questions here and there, as always it remains difficult to write clear, coherent rules. First, if you take multiple Courts (if you have two Overlords and/or Overlord level Special Characters), can you only still take one of each Cryptek wargear only once? In other words if you have two Overlord type of leaders, you can take two Royal Court, but does that also mean that you can take, for example, two Veils of Darkness (one in each Court)? Secondly, you can detach Royal Court members to certain units (Warriors, Immortals, Lychguard or Deathmarks), though only a single Court member can join each unit. What happens if you managed to squeeze two Royal Courts into an army list, can each unit still only have a single Royal Court member attached to them or can you only add one per Royal Court? As already discussed, their reactive Deep Striking rules don’t make much sense in the current rule set, though perhaps this will be cleared up next year when the next edition hits us. Secondly, you can add a Lord or a Cryptek from a Royal Court to the unit, but do these added lieutenants also benefit from the Deathmarks’ special rules (Deep Strike, Ethereal Interception & Hunters from Hyperspace). Technically we should follow their profiles & rules, which would lead to a no and would prevent the Deathmark unit from being mobile and reactive. 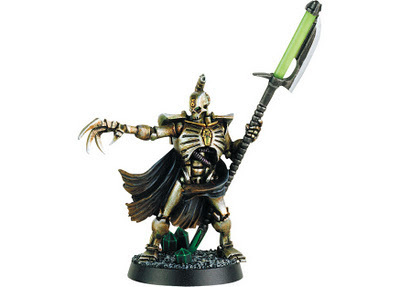 This could still be interesting though, if you have the points you could get a mobile Sniper & assassin unit consisting of 5-10 Deathmarks and a Harbinger of Despair Cryptek with a Veil or Darkness. Units hit by the Triarch Stalker are easier to hit for fellow Necron units in the same Shooting Phase. However, the Particle Shredder is a Template weapon (Large Blast) thus it can potentially hit multiple units. Does this also mean that multiple units hit by the same weapon can be affected by the Targeting Relay rule? There has already been an errata for the Spanish codex, which corrected two typos but also changed the rules for the Dimension Corridor function to also being able to remove a Necron unit locked in close combat. If this is correct, it would make the Monolith quite a bit more helpful. Time will tell if this is actually the case or if this is another typo in the errata. Secondly I would personally like to see a more clearly phrased portion of text for the Portal of Exile rule. This because right now, one could interpret the rule so that even units locked in combat within D6” of the Portal could get sucked in. Again a matter of clearer writing, I’ve already seen people go absolutely wild online twisting and bending the wording to make the number of hits a unit suffers equal to all models hit by the Death Ray, rather than the number of models hit in that unit. So not really a problem here, it could have been written a lot better though. These things can bounce incoming enemy fire back at other enemy units within 6” though templates and blasts may not be repositioned. What about special rules and abilities associated with certain weapons (stuff like Melta), do these carry over after bouncing? He can take charge of an enemy vehicle unit, firing it immediately, which using some larger templates could potentially lead to the vehicle hitting itself. Silly I know, but again something I’ve seen people suggest online. If possible, the Guard had better keep him away from their Baneblade regiments! Trazyn has both Mindshackle Scrabs and the Empathic Obliterator. The first is capable of taking control of an enemy in the combat and letting him/her/it attack their own side using their own gear and rules. The Obliterator send s psychic shockwave through an enemy unit if Trazyn kills a model, models of the exact same name have a chance to get friend as well (beware Orc boyz!). I know it was most likely not intended for these two pieces of gear to work together, but as of right now the rules would allow it. The fluff clearly states it comes down to the actual weapon killing somebody, but the rules broaden this to Trazyn killing one or more models in close combat. Give that kills through wargear still do count as kills, we have a potential issue. 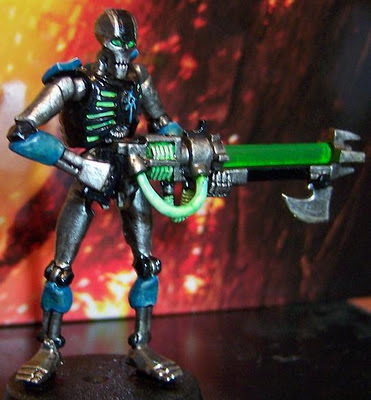 How does Entrophic Strike work against Necrons, if an enemy Necron uses Resurrection Protocols do they finish out the rest of the game without an armour save? The Necron codex had me a bit stumped at first. Like many people I got very excited about all the excellent goodies and new tricks in there, however after having letting things sink in for two weeks I’ve come to several conclusions. First off, pretty much any Necron army out there is going to dig heavily into the codex’ Fast Attack section. 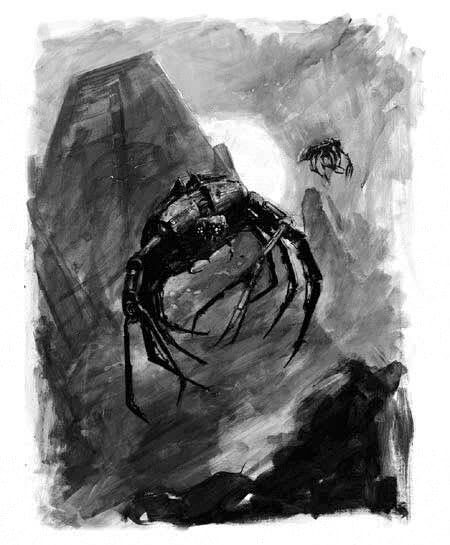 Between the close combat prowness of the Wraiths, the Entrophic Strike of Canoptek Swarms and the rare anti-tank firepower provided by the pricy (Heavy) Destroyers there is a lot of good unit units in there, something, which unfortunately cannot be said for most other sections of the book. Both the Elites and Heavy Support sections have a selection of units that will never see use in a competitive, tournament setting. What really strikes me about the Necron codex is that it has so many units that have both an extremely clear advantage and disadvantage. As such, there are a lot of units that have a ton of potential, but that also introduce randomness (Illuminor Szeras), don’t really fit into the playstyle of the army (Triarch Praetorians) or can be neutralized fairly simple for their high pointcost (Triarch Stalker, Lyche Guard & Doomsday Ark). Combined these factors will drive most competitive armybuilds into a combination of a heavy phalanx of Troops and massive Fast Attack choices, supported by the odd Heavy Support and Elites choice, while being led by named, rather than generic, characters (also see the Necron Lord section in Part I). 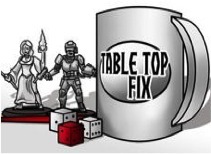 Internally we are presented with a fun codex that has multiple solutions for many of the common gaming problems out there. However, it is certainly an army with a big learning curve. 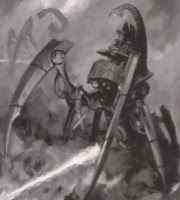 In between units that need to work in unison and the precarious balance between the average short ranged anti-infantry, but not anti-armour weaponry and the Necrons’ disadvantage in close combat, I doubt we will see them fair very well against the current top armies. Yes, the new weapon types and messing with Night Fighting is going to take a few game to get used to, but the army simply doesn’t have as many solid, or modifiable units as many of its competitors. In fact, I get the feeling that multiple people worked on many loose ideas for this codex and Matthew Ward simply put them all together. There's a lot of gimmicky stuff in the codex; rules, units and combos that on paper seem(ed) like fun, but don't really come into their own when taking the entire Necron force into account. Don't get me wrong now, I really like the new codex and tools we get to play with. As a casual gamer I like taking the long road trying out unusual units and wargear while playing with a very themed forces. 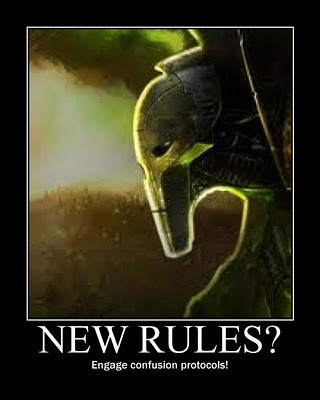 However, when looking at the metagame (I know, dirty word in the mouth of a casual gamer) I doubt the new Necrons will fair very well against the many close combat forces out there. Nevermind the shiny, seemingly invincible Grey Knights! And that rounds up this review, I hope it was of use to my fellow bloggers out there and I look forward to seeing how the new Necrons will fare in the coming months! Now to decide whether or not I'll be picking up a few more Necron minis, perhaps even for use in a new Killzone team (new rules should be up some on Galaxy in Flames - link)? Hello, I'm Willem-Jan a 30 year eternal student, semi-researcher and avid wargaming hobbyist. On the web I go around using the name Hephesto (or Heph for short). Reply FTW: GW scenery bad for the hobby?